How do I change the font once it has been entered? If you just need to change the spelling, you can click the text once and you will go into "onscreen text edit mode". You will see the text cursor to edit the text inline. If you want to change the font, you need to click the text icon in the popup menu. To get this to show, you need to make sure you are NOT in the "inline text edit" mode as shown above. 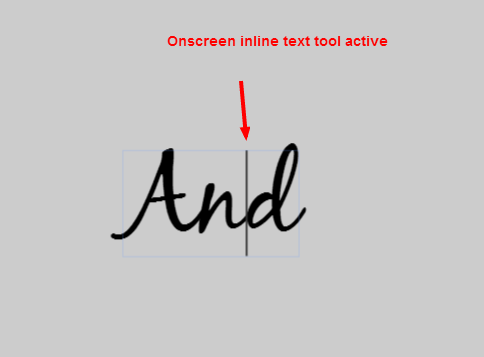 If you are, the easiest way to exit the "inline text edit" is to click onto a blank part of the canvas. In order to bring up the popup menu with the text edit button, we need to move the text slightly to select it. To do this, hover over the text and click and drag it to move it slightly. 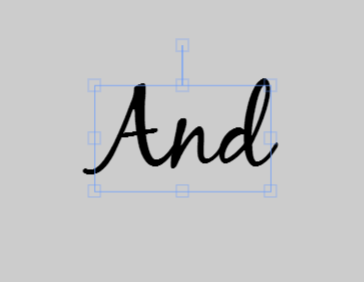 After you let go of the mouse, you should see a bounding box around the text with the handles(see image below). If you see the handles, you are almost there. All you need to do is right click while hovering over the text and you should see the edit menu popup. 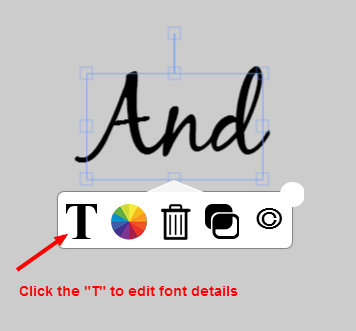 Just click the "T" icon to get back to the edit font screen.